I recently received an email with this subject line: YOUR PAYMENT HAS BEEN SENT TO YOU and I am concerned that it could be an attempt at defrauding me. Let me know in the comments section what you think, please. 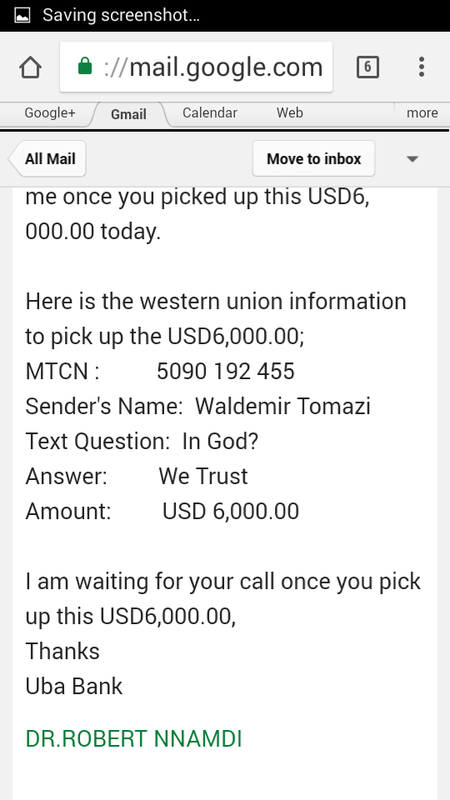 Please pick up this information and run to western union to pick up the USD6, 000.00 and call me back to send you another payment today, My direct phone line is ;+229,6758-3982, +229,6496-7968, Manager Mr.Peter Williams Email: (wunion638@gmail.com) call or email me once you picked up this USD6, 000.00 today.